Qualification : All candidates who possess Intermediate/ Senior Secondary with Diploma in Elementary Education/ B.EI.Ed/ B.A/ B.Sc/ B.Com D.Ed.,/ B.Ed., / Language Pandit or equivalent qualifications and candidates pursuing final year of the courses during the academic year 2012-2013. Application Fee : Candidates must Pay Fee Rs. 200. Candidates can pay the fee through AP ONLINE or e-Seva/mee seva centers between 15.07.2013 and 31.07.2013. 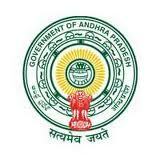 Exam Pattern of AP TET 2013 : The test (APTET) will be conducted in 2 papers viz. Paper-I & Paper-II. How to Apply : Eligible candidates should have apply online through the website “http://aptet.cgg.gov.in” by filling all the mandatory details of online application from 16-07-2013 to 01-08-2013.